Nearly 20 million Americans have some type of thyroid disease that, if left untreated, can lead to serious medical complications. 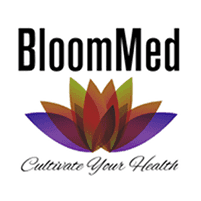 At BloomMed LLC in McKinney, Texas, Dr. Stephanie Cudjoe can diagnose hypothyroidism and can help you manage your symptoms. Dr. Cudjoe provides effective treatment options and knowledge about your condition to help keep your thyroid healthy and functioning optimally. 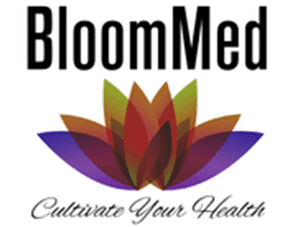 Book an appointment online or call BloomMed LLC for more information. Hypothyroidism is a condition where your thyroid gland doesn’t make enough thyroid hormone to keep your body functioning correctly. Your thyroid is a butterfly-shaped gland at the front of your neck, and it's responsible for making hormones, which travel into your blood to the other tissues of your body. These hormones manage your body’s use of energy and help your heart, brain, and other organs function optimally. Hypothyroidism often runs in families. If your parents, siblings, or other close relatives have hypothyroidism, it’s important you tell Dr. Cudjoe so she can regularly test your thyroid activity. Certain medications, including lithium and interferon alpha, may also increase your risk for developing hypothyroidism. Because thyroid hormones also help regulate your body temperature, you may frequently feel cold. If you experience symptoms of hypothyroidism or have a family history of the condition, Dr. Cudjoe can perform a simple blood test to check your thyroid health. There is no cure for hypothyroidism, but Dr. Cudjoe can help you manage your symptoms through lifestyle counseling and other treatments. Dr. Cudjoe may prescribe thyroxine, a hormone replacement medication that can bring your thyroid hormone levels back to normal. Replacing hormones help relieve your symptoms to improve your quality of life. Over time, your prescription may change to accommodate changes in your thyroid function. You may need to take more or less of the medication to remain symptom-free. Dr. Cudjoe monitors your thyroid function through regular blood work. How often do I need my thyroid checked? Dr. Cudjoe recommends testing your blood on a regular basis, especially if you are taking thyroxine. She can establish the right monitoring timeline based on your overall health, your symptoms, and your prescription strength. You will also need blood checks if your symptoms come back or worsen, or you have unexplained weight gain. To learn more about managing hypothyroidism, schedule an appointment with Dr. Cudjoe online or by calling the office.